Its easy to get lost in the clutter. 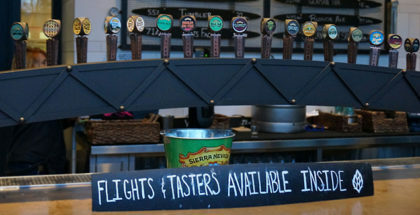 Currently in craft beer, there’s a shiny new toy wrapped under layers of marketing speak at over 5,000 breweries across the country. 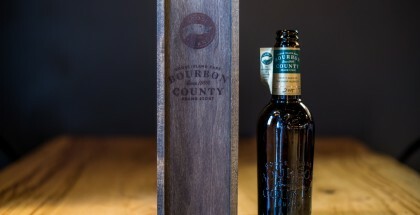 New England this, barrel-aged that, it can sometimes become cumbersome filtering through the hype to find the handful of truly inventive, quality beers that are really moving the needle in this market. 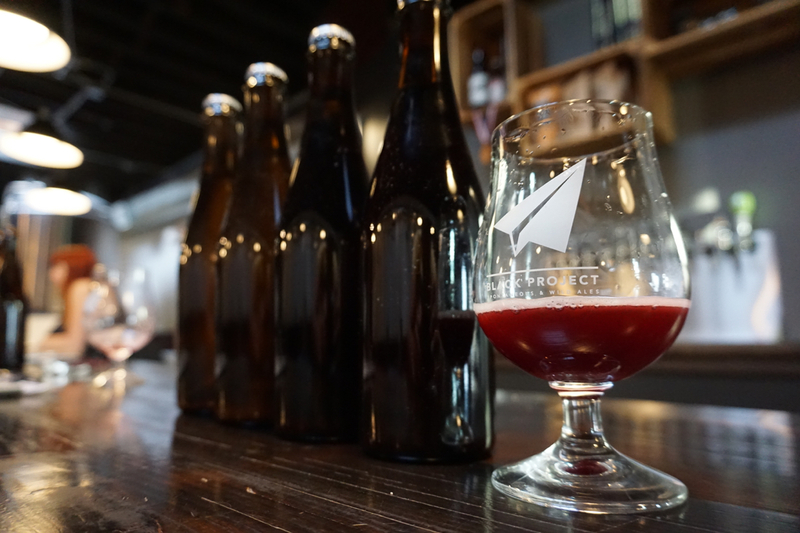 Black Project Spontaneous & Wild Ales is doing just that with this weekend’s release of their spontaneously fermented barrel-aged, Lambic-inspired ale Roswell, featuring six heavily fruited variants. 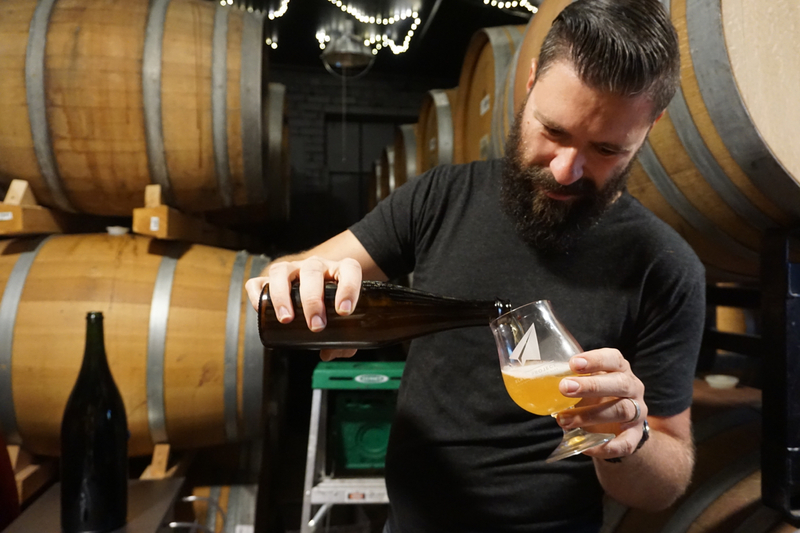 Sure, Roswell runs the gamut of flashy buzzwords, but this celebration of spontaneous fermentation goes beyond the hype, showcasing a fruit first, low acidity balance that’s often missing from contemporary American fruited sours and wilds. Co-Founder James Howat noted that the beer ferments from late fall to early spring to avoid gaining any extra acidity that would come from allowing the beer to further ferment over the summer months. Additionally he purposely selected the least acidic barrels of base beer available so as to offset the natural acidity imparted by the nearly 5 lbs per gallon of fruit used for each Roswell variant. The Roswell base begins with a turbid mash processes that creates a mostly starchy unfermentable wort ideal for wild fermentation. The wort is then introduced to wild microbes, yeast and bacteria collected naturally in the air, by cooling overnight in Black Project’s copper coolship. That spontaneous fermentation process is then left to develop for approximately 9 months in neutral french oak barrels before being re-fermented for a final month on fruit. 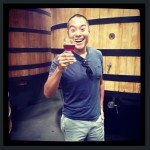 The result is six beautifully nuanced, funky, fruit forward beers that allow those bold fruit flavors to truly shine. 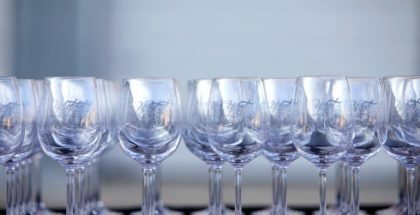 We had a chance to sample all six and our biggest takeaway was that the balanced acidity really allowed those natural fruit flavors to take center stage. Last night we were lucky enough to sample through all six expressions of Roswell. Each variant was named after a conspiracy theory involving the real life Roswell site. Mogul Apricot and Grudge Raspberry, were both narrow standouts in a evenly strong field. Apricot poured golden in appearance and came out the most delicate, but expressive in its fruit aroma. Raspberry poured a rich dark ruby red and captured a subtle sweetness without the typical overwhelming tartness that can often come from some raspberry fruited sours. Roswell’s Guava variant likely came out the most divisive among our small sampling group. However personally I was extremely drawn to the bold tropical fruit flavors that also produced slight nods to coconut and mango. 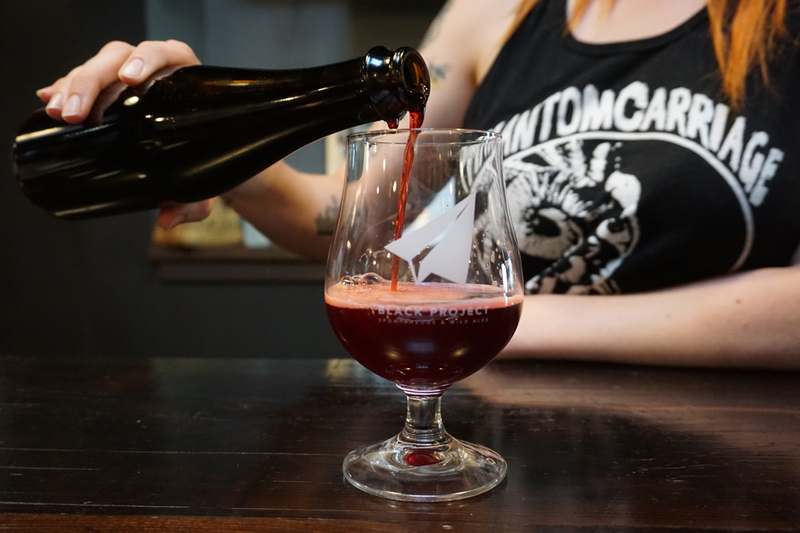 As a whole, this weekend’s release is the first major culmination for Sarah and James Howat, who last August transitioned what originally began as Former Future Brewing into Black Project Spontaneous and Wild Ales. Over the past 10 months their 1290 S. Broadway location has seen a cellar expansion to include 140 oak barrels, four puncheons, a 12hL foeder and the aforementioned copper coolship, allowing the brewery to pivot solely to spontaneously fermented beers. The Howats note that eventually they hope to further evolve to producing only Lambic-style homages to the tradition rich Belgian style. Black Project will also be taking a different approach toward this weekend’s release. The Roswell collective will see 5 of its variants go on sale for to-go purchase Saturday, July 22 at 2pm including apricot, blackberry, cranberry, guava and raspberry varieties. The 500ml bottles will ring it a $20 a piece and have gone the route of cork and cap so as to prevent any oxygen intrusion. This decision will also allow bottles to be kept longer, but due to its fruit forward nature and the tendency for fruit flavors to fall off over time it’s still recommend to consume sooner rather than later. Saturday’s attendees will also be treated to a first come first serve BrewedFood pairing from Chef Jensen Cummings of Tender Belly Bratwurst with pain de mie bun, kimchi and, gochujang mayo with a side of Hop Ash potato chips while waiting in line. 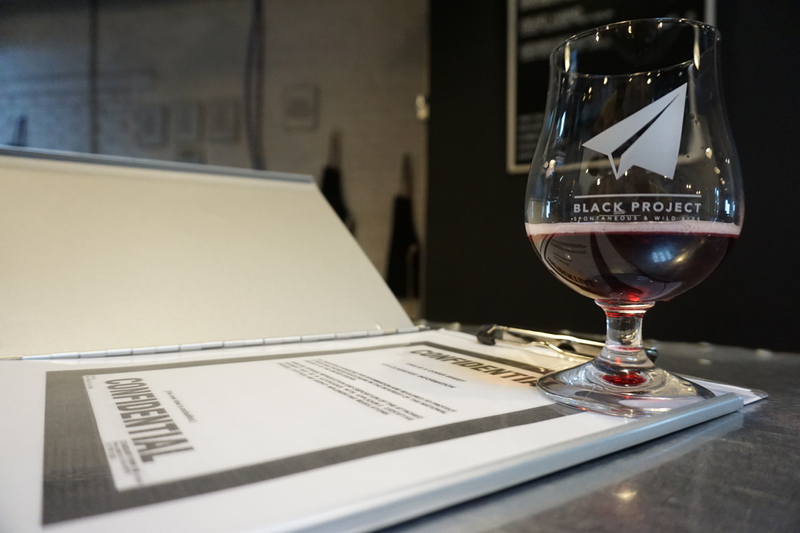 Black Project will then release it’s blueberry variant, Sign, on Sunday for on-site consumption only with a sneak preview of their upcoming Biere Brut / Biere de Champagne made with Red Fox Cellars Barbera grapes. Attendees will have a 3 bottle purchase limit total, meaning they can purchase 3 bottles of the same variant or 3 different styles with the intent to have much of the 420 bottles spread among as many attendees as possible. So any attendee hoping to walk home with all 5 styles on the first day, may want to consider bringing a patient friend along for the release. 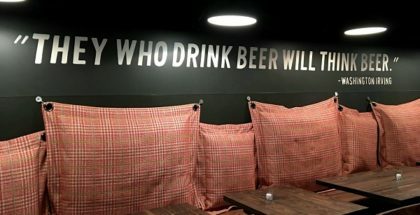 In speaking with the Black Project team, their hope is that this sort of release will encourage more communal and social sharing of the beer.